It has never been easier to register a new domain name, but also never more confusing. There are a dizzying number of new domain extensions, different registrars and options you can choose from after purchase, and making a few poor choices can add up to costly and time-consuming problems. Fortunately, arming yourself with a little information up front can prevent headaches – or worse – later on. 1) Know who your registrar is. 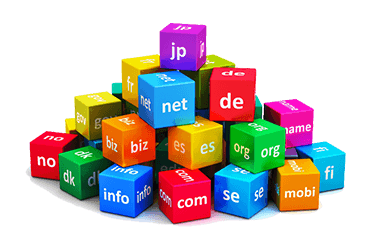 Registrars are organizations that register new domain names and maintain existing ones. Some of the most common include GoDaddy, Network Solutions and Enom. Many registrars also resell their services through affiliate companies, which can make it difficult to track down administrative information if you need it. A service called Whois (operated by the nonprofit ICANN) is accessible on its own (whois.icann.org) or on most registrars’ websites, and allows a user to check the registrar and contact information for most domains. 2) Don’t let your domain expire. It doesn’t matter if someone else registered it and manages the billing. Turnover, new web host – there are several triggers for the billing contact on a domain to change. No matter how it happens, if your domain doesn’t get renewed, it no longer belongs to you. You may be able to repurchase it at considerable expense after an embarrassing or disruptive outage. Or it could be worse. This can’t be emphasized enough: make sure you understand when your domain comes up for renewal and use the “WhoIs” tool for making sure your domain is current. Mark renewal dates in your calendar and make sure to follow-up on renewals well in advance of renewal deadlines. Better yet, buy your domain for ten years and set it to auto-renew. Problem solved. 3) Understand how your email works. Know whether your email messages are stored on your local mail server or downloaded periodically to local computers from a dedicated remote server or the cloud. If you move your hosting to a new provider, migrating email messages from one server to another can be a time-consuming task, and poor planning can result in lost messages. 4) Make sure your domain registration contact information is correct. Too often, domain contact information ends up being incorrect. Worst case scenario: The person who registered your domain lists herself as the contact, then is no longer with your organization. When renewal time comes or if there is a problem with the domain, the notice goes to… no one. Don’t let this happen to you. Once you’ve checked that the owner, technical and other contacts are correct, consider using a generic email address like webmater@yourdomain.com that can always be in use. Many companies also create a free email account (like Gmail) for this purpose, so that even a domain issue won’t be a problem. 5) Think carefully before opting for a private domain. Paying the extra few dollars for a “private” domain sounds good on the surface, as it masks direct contact information and ostensibly protects your privacy. Unfortunately, this can be counterproductive at times. At Lanex, we’ve seen situations where privacy is turned on for a domain; later, the customer doesn’t know who registered it, whose email address is on file for the domain or even whether it is still a valid address. This can lead to a situation where a company has no avenue to gain control of their own domain except through legal channels. 6) Understand where your DNS “lives.” DNS (Domain Name Service) is the Internet service that takes IP (Internet Protocol) addresses (e.g., 192.168.5.1) and turns them into hostnames (e.g., www.lanex.com). Generally, DNS will be handled by the registrar, your IT team or your web development company, but keep it written down somewhere handy in case you change service providers or staff. If you plan to move your domain to a new host, understand that DNS may need to be set up in advance of the actual site move and plan accordingly. Still confused? Many web development companies or network service companies have resources to assist you with your registration needs and questions, Lanex included.